The UK Government is continuing to ignore a link between welfare cuts and the rising use of food banks, according to the SNP. MSP Joan McAlpine said Westminster is failing to acknowledge the damage caused by benefit reforms, despite what Nationalists say is a 400% increase in the number of people relying on food banks in Scotland in the past year. The member for South Scotland wrote to the Government about the impact of the reforms last month. 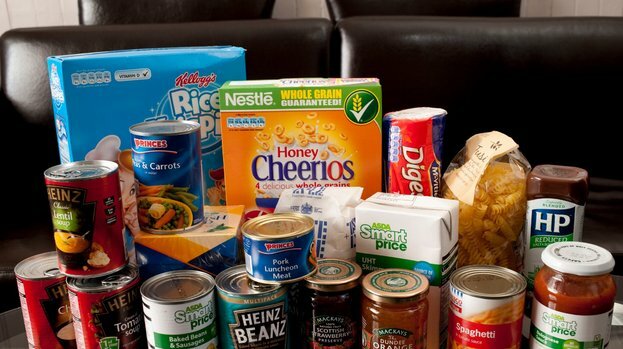 UK Employment Minister Esther McVey responded and said in her letter that there is “no robust evidence that welfare reforms are linked to increased use of food banks”. Ms McAlpine said: “This latest letter from Esther McVey confirms that the Westminster Government has no intention whatsoever of facing up to the damage they are causing with harsh, unfair welfare cuts. “Despite (Under-Secretary of State for Scotland) David Mundell’s admission three months ago that he believed the UK Government should carry out analysis on food bank use, no action has been taken. Instead, Ms McVey buries her head in the sand — ignoring the plight of thousands across the country who can’t afford put food on the table because of the actions of her Government. “Universal Credit has faced delay after delay — and once implemented it will disadvantage women. Women across Scotland are already bearing the brunt of Westminster’s welfare reforms, with analysis showing that 69% of the impact of cuts falls on them. In the letter dated September 13, Ms McVey said: “The Government has a clear strategy on benefits and welfare. This includes making work pay, creating a fiscally sustainable system for future generations and ensuring we are focusing benefit support on those most in need. “The benefits system supports millions of people who are unemployed or are on low incomes, and there is no robust evidence that welfare reforms are linked to increased use of food banks.